Shortcakes are one of the most famous bakery item which looks very attractive and tempting. 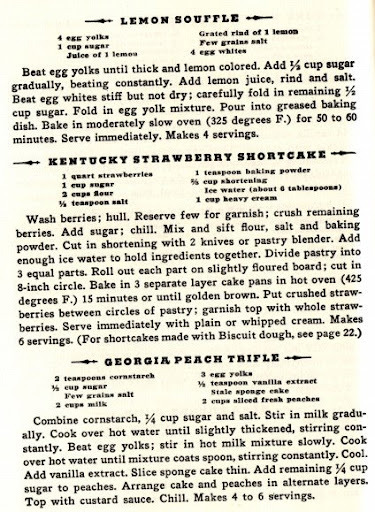 Here a strawberry shortcake recipe is given which is prepared with sponge cake hence these shortcakes are very soft. To make more soft and juicy shortcake pour some orange juice or syrup onto the plain sponge and then make shortcakes. You can make other flavor of shortcake with the same recipe. In a large mixing bowl beat eggs and sugar together until become foamy and all the sugar granules mix with the eggs. Now add milk melted butter and flour with the beaten egg sugar mixture and mix them well so that no lumps of flour would remain in the batter. Pour the batter in a square or rectangular shape baking pan and place it in oven for 15-20 minutes at 400 degrees F. Don't forget to grease the pan with butter or oil. Meanwhile make topping for the shortcake, for that take a mixing bowl and place it on a larger bowl containing ice cold water. Now add all the ingredients mentioned for topping including heavy cream, sugar and vanilla, beat them together using whisk until become thick like whipped cream texture. When the sponge has been baked cool it to room temperature on wire rack, after that cut the sponge horizontally from the center to make its two equal pieces. On dark brown surface of one sponge cake piece spread half of the prepared cream and then place the second piece over it, make sure that the brown surface should not be on top. Again make top layer of cream and spread it evenly over the cake. Now cut the whole cake in shortcake shape (rectangular shape). decorate each shortcake with strawberry jam and chopped strawberries and then place in fridge to chill.